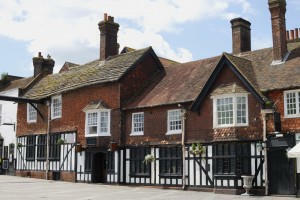 Office removals to Crawley can be a complicated task and there are many aspects of the process that must be sorted out. If you are moving a large company or corporation to Crawley you will need a professional moving service to successfully execute the move. At Moving Service, we pride ourselves on delivering business-friendly, affordable and reliable corporate relocation services. We are an accredited business and know how important professionalism is. That is why we are committed to delivering your office move at a time that is convenient for you. Moving Your Business? Give Us a Call! Moving a business may entail moving special equipment or materials in a safe manner. We have the appropriate tools and equipment to execute your office or corporate move and ensure that all the office belongings and items are moved safely. We can also work with you to create a moving schedule and budget that accommodates your needs. We work on weekends and nights to minimize the impact of our services on your own business, because we understand how important time and money are in this modern world. When you chose us for your office relocation from London to Crawley, we assist you from the start of the moving process. We start from the initial packing and organizing process including organizing, cleaning and packing your belongings. But we work with you to create a schedule that best accommodates your needs. When it comes to packing, we have the appropriate equipment for anything you may need to transport. We take care of the entire process so that you can resume business as usual. If you want more information on office removals to Crawley, then contact us today at 020 8746 4402. You will be able to speak with a professional sales representative who can tell you how you can get the most for your money and will also give you a free estimate on our company move to Crawley. Crawley is town and a borough in West Sussex located 28 miles south of Charing Cross. It has a population of approximately 106,000 people. Crawley has been inhabited since the Stone Age and has always been a rather prosperous town. The opening of Gatwick airport in 1930 contributed to a significant amount of commercial and industrial growth. 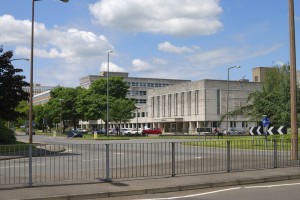 Crawley is now undergoing an extensive residential, commercial and industrial regeneration due to the positive impact of Gatwick Airport on its economy. For high quality office relocation services to Crawley, then hesitate no longer and contact us today to learn more about our service options. Choosing to move office with a professional relocation company is one of the best decisions you can make. Moving with a professional removal company can save you time and money and get your business up and running in no time, in its new location. We pride ourselves on delivering high quality office removals to Crawley with a competitive price. We can handle every step of the moving process for you, from packing and organizing to transportation and re-assembling. We can easily reassemble larger objects like furniture or other items at your new office residence. We work with you to create a moving schedule that best accommodates the needs of the company or office so that the impact on business is minimized during the transportation process. All our staff are professional and have expert knowledge of the moving process. For your office move to Crawley, Moving Service can get the job done quickly, efficiently and affordably. Call us at 020 8746 4402 to learn more about our customized service options and receive a free quote over the phone.